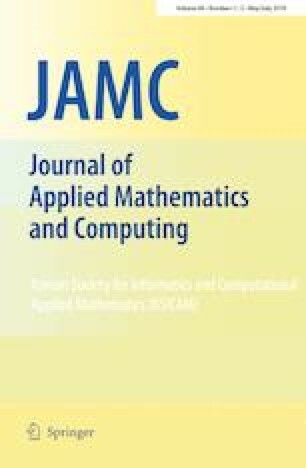 This work is devoted to designing two conjugate gradient methods for the least Frobenius norm solution of the generalized periodic Sylvester matrix equations. When the studied problem is consistent, the first conjugate gradient method can find its solution within finite iterative steps in the absence of round-off errors. Furthermore, its least Frobenius norm solution can be obtained with some special kind of initial matrices. When the studied problem is inconsistent, the second conjugate gradient method with some special kind of initial matrices can find its least squares solution with the least Frobenius norm within finite iterative steps in the absence of round-off errors. Finally, several numerical examples are tested to validate the performance of the proposed methods. The authors gratefully acknowledge the valuable comments of the editor and the anonymous reviewers. This work is supported by the National Natural Science Foundation of China (Nos. 11671228, 11601475), the foundation of National Natural Science Foundation of Shandong Province (No. ZR2016AL05), Scientific Research Project of Shandong Universities (No. J15LI11).